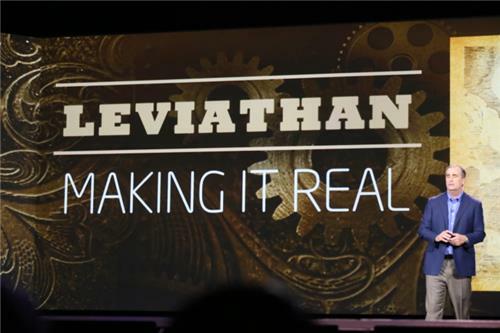 Yup, there's a 3D Systems Cube 3D printer on stage, and they're going to 3D print a keyring made using the RealSense 3D camera system. Real-time 3D printing demo now. Won't be done until the end of the keynote. Everyone gets a chocolate bunny person! I'm looking under my seat now! 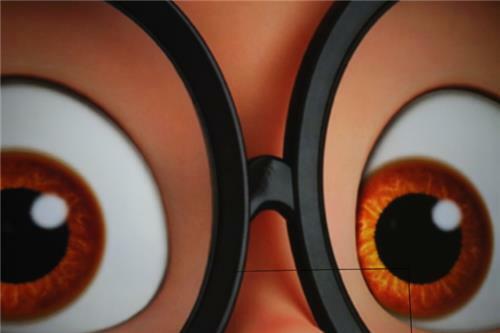 CG images of Sherman and Mr. Peabody on screen. Katzenberg's not using a prompter and doing very well. Katzenberg is talking about how moviemaking is using technology to create "incredibly immersive experiences" for audiences. 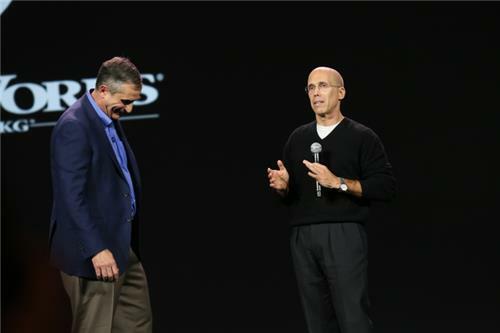 The real question is: Can Katzenberg finish his time on stage rather than bail out like Michael Bay did earlier? Still don't really know why he's here though. Clip from Mr. Peabody trailer. Oh, to promote his movie. Now Katzenberg is gone, and Krzanich is back to talking about technology and "how is this going to impact the way we play." Gaming coming up. Maybe some actual fun-looking games this time? 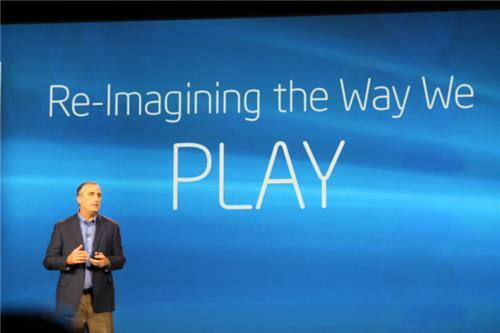 Intel is re-imagining how kids play. 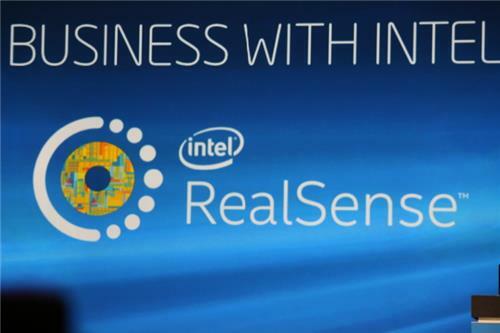 "we've combined the technology of RealSense...so kids can have an amazing, real-time experience." They're showing off a game called Scavenger Hunt. They're scanning a sand box with a tablet. Moving it from the real world into a tablet. I still want to know if they'll show Fruit Ninja. Scanning a real sandbox to create an interactive virtual one. This demo is kind of cool. It shows how the environment for a game could be instantly created by scanning a real-world space. Cool concept, but doesn't look very fun. Maybe it's just not for me though. And it can be quickly modified with the addition of new objects. This is what happens when chip engineers try to design games. 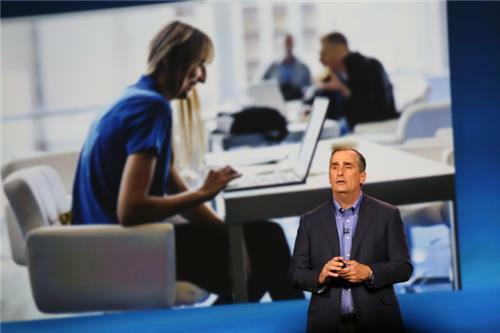 Now, Krzanich says, we can be immersed in story. Now we're talking whale airships. I think we've somehow come full circle. 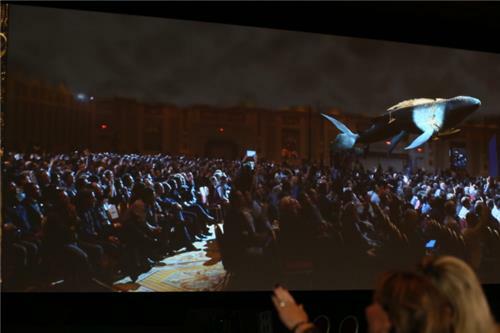 There's going to be a demo of...um...a flying whale.